Such as the widely rumored previously, the Nexus 5 will be announced shortly. This is the first time alleged directly embed Google Android 4.4 KitKat with a myriad of features upscale premium Android device, dare to compete with the Sony Xperia Z1, LG G2, and the Galaxy S4. Well, reportedly Nexus 5 will also come into the market in white than black as the main color as quoted from @ evleaks via The Verge. If true Nexus 5 is released tomorrow 1 November 2013, the arrival of Google's latest flagship is just 1 year later since the Nexus 4 launch last year. Pushed back the estimated specs rumors about Google Nexus 5, the device will have a 5-inch screen Full HD 442 ppi, Dimensions 131.9 mm x 68.2 mm x 8.6mm, orchestrated 800 CPU Qualcomm Snapdragon (MSM8974) 2.3 GHz, Adreno 330 GPU, 2GB RAM, 16 GB internal memory, 8 MP main camera auto-focus OIS, 1.2 MP front camera, a variety of sensors (accelerometer, magnetometer, gyroscope, proximity, light, barometer, orientation), 2300mAh Battery, Wireless charging and connectivity support LTE / HSPA + pentaband and NFC. 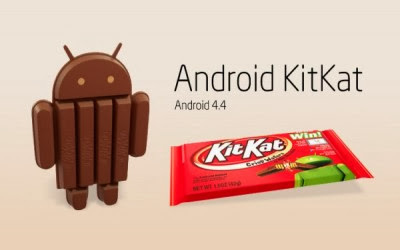 KitKat Will Android 4.4 Smartphone and Gadget Compatible Low-End? 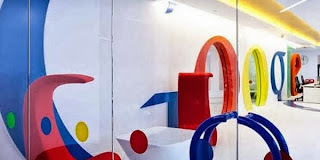 Stay a few hours to go before 1 November 2013 , when Google held a couple of new product introductions as well as an important concern would Questioning the existence of the latest Android 4.4 version of KitKat . Keep abreast of recent rumors through various online news media globally , Android 4.4 is rumored KitKat will have number of attractive features Jelly Bean after launch . For example, as reported by Androidpolice , KitKat built with better memory management devices , allowing devices to lower class ( Low - End ) with small memory of 512 MB can be can also enjoy it . Even according to WSJ sources , Amir Efrati , Google's latest effort related KitKat , besides run on devices compatible smartphone newbies , also more friendly with other gadgets that provide OS Mobile computing systems such as smart sunglasses and smart watches . 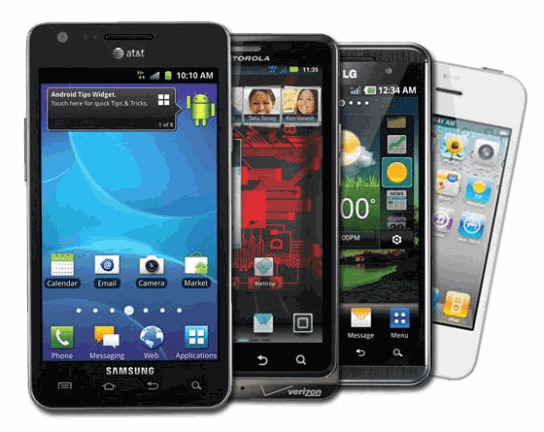 As is known at this time , the existence of Jelly Bean Android platform generally only pinned on the latest Android devices and has operational functions or feature a mid course . There is even a statement last July from Brendan Eich , CTO of Mozilla , dipubilkasikan TheVerge that portion of the use of Android version 4.x too bloated cost of production when embedded into cheap phones and Google need to fix what is referred to as the problem of fragmentation ( fragmentation Issue ) . Allegations of other features in Android 4.4 there will be three new sensors , including the step detector ( detector step ) , step counter ( step counter ) , geomagnetic vector rotation ( rotation and geomagnetic vector gauge ) , all three of these features are very important as a tool for sports activities that would normally be at the appropriate gadgets like SmartGlass and smartwatch , in addition to common features like GPS , WiFi , Bluetooth HID through GATT ( generic Attribute Profile. ) and Bluetooth MAP ( Message Access Profile) , and others . Other superior features is said to be accompanied by support KitKat Infrared Remote Control and can be connected on the payment methods like using NFC ( Near Field Communication ) , but everything is still a rumor and more details will be revealed tomorrow . 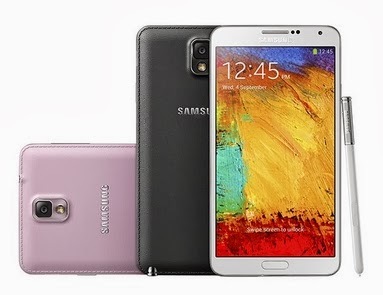 Sales of Samsung Galaxy Note phablet 3 reported break 5 million units in just a month. 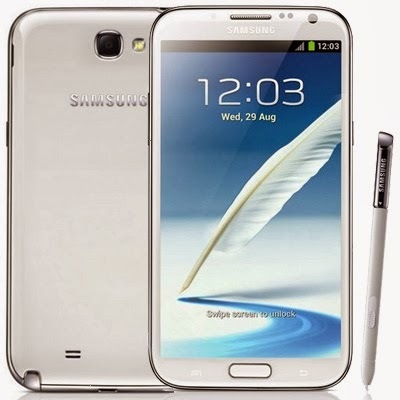 The third-generation Galaxy Note was first officially sold on Sept. 25 in more than 140 countries. According to JK Shin, head of Samsung Mobile Communications, sales of Galaxy Note 3 was higher than the previous generation. Mentioned the new Galaxy Note 2 sales reach 5 million units after 2 months. Galaxy Note 3 is a large-screen smartphone flagship product of Samsung. This device brings 5.7-inch screen Full HD Super AMOLED, Exynos 5 Octa-core/Snapdragon 800 processor Quad-core, 13MP primary camera, WiFi 802.11ac, 4.0LE Bluetooth, 32GB internal memory with additional microSD slot, 3200mAh battery. This smartphone also rely S Pen accessory which have got an increase. Galaxy Note 3 also became the first smartphone that carries a capacity of 3GB RAM. JAKARTA – Saat ini pencinta gadget kian haus akan performa dari sebuah smartphone. Hal ini memacu MITO untuk meramu produk terbaru dengan penuh gaya yaitu MITO A95. Ponsel brand lokal terbaru itu tampil apik dengan layar 5 inci IPS capacitive LCD. MITO A95 semakin terasa mewah dengan kilauan chrome di sepanjang sisinya. “Kesan eksklusif langsung terpancar dari MITO A95. Seperti kita tahu, smartphone saat ini dibutuhkan lebih dari sekadar fungsi, tetapi juga dari sisi modelnya juga untuk menunjang gaya dari si pengguna,” ujar Direktur Utama MITO MOBILE Hansen Lie. Melalui keterangan tertulisnya Kamis (19/9/2013), MITO A95 ini dipacu prosesor empat otak dan RAM 1GB yang membuat kemampuan komputasi dan navigasinya lebih gesit ketika membuka berbagai aplikasi sekaligus. Mengusung kamera 8MP, MITO A95 juga dipercantik dengan berbagai fitur seperti smile detection, multi angle, panorama, burst, dan HDR. Disamping itu smartphone yang berjalan di OS Android ini juga memiliki fitur Face Unlock alias pemindai wajah yang menjadi keamanan untuk mencegah ponsel diakses oleh ‘tangan-tangan jahil’. Fitur itu dapat diaktifkan dengan mudah, pengguna cukup masuk ke bagian Setting > Screen Lock > Face Unlock. MITO A95 dilepas ke pasaran dengan 'ramah kantong' seharga Rp2,49 juta saja. 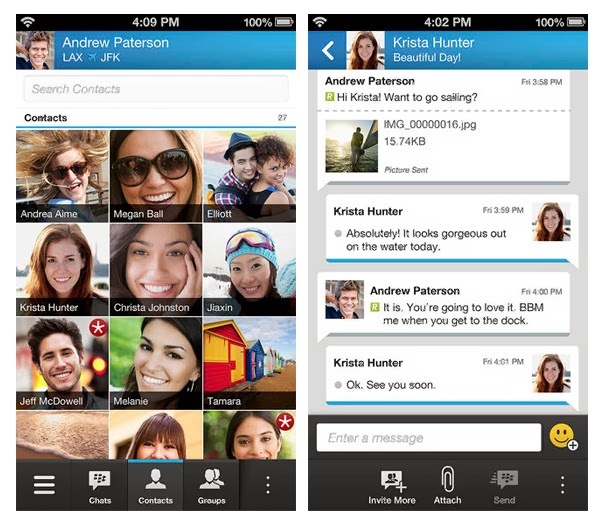 BBM on Android and iOS will have new features. In order to compete with its competitors, the fuel will be equipped with video and voice calling features. Last week, Andrew Bocking VP of BBM for BlackBerry says BBM on Android and iOS will have video and voice calling capabilities in a matter of months. While Bocking said the fuel will always be free, OEM Canadian wants to get money from this app. One way to fuel Channel. The last week at CBC Morning Edition, Bocking said that this would be a way for BlackBerry to get money out of fuel. Channel called "social media engagement platform in the fuel," said the executive, who can spread the "BBM experience to the company (brand), artists, businesses and the public will now be able to connect with individuals and groups in real time." 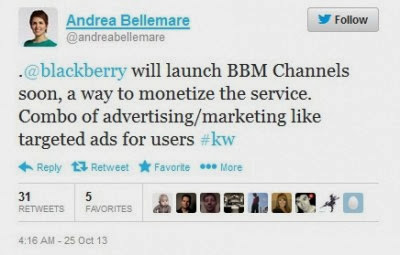 CBC says BBM Channel will be launched soon. Speaking of fuel, Bocking said that "We continue to plan for the development of services and continue to make it more interesting and have more reasons why people will come back to use this service." 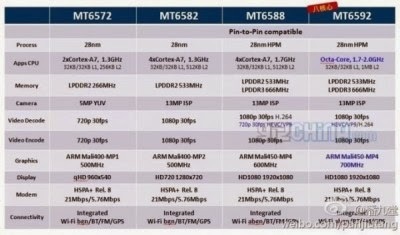 A specification sheet width covers an area of ​​more detail the ins and outs of two new processors MediaTek MT6592 octa - core and quad - core MT6588 , has been leaked on Chinese Weibo . New chipset , as you can see , marking a considerable upgrade .Built on 28nm HPM process , two new processors have a higher clock on the ARM Cortex - A7 their CPU , RAM and support for LPDDR3 upgraded GPU capabilities , thanks to the quad - core Mali450s which also has a higher clock than its predecessor .MT6588 has received little attention from the media , is much more interesting because it is really octa -core ( which means it can operate eight cores at once , unlike the current line of Samsung Exynos chipset ) MT6592 has been scheduled to be launched soon .AnTuTu Benchmark initial scores showed better ranking rose to 28,000 , which puts a new SoC between Qualcomm Snapdragon Snapdragon 600 and 800 in terms of performance . 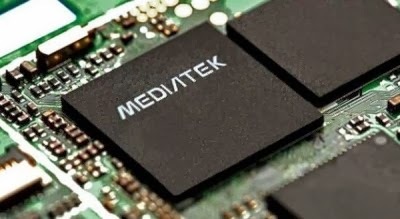 Moreover , MediaTek may also be set more competitive prices . MediaTek two new processors will be released on November 20, but given the track record of the company, many people have wondered if the octa-core chipset is not just a gimmick? And it seems there are still many people who underestimate MediaTek. This is not surprising, given the more prominent MediaTek with Chinese manufacturers, although there are indications of interest from major companies such as Samsung, Sony, Nokia and HTC. That's because MediaTek generally offer attractive prices for producers, while its performance was adequate. 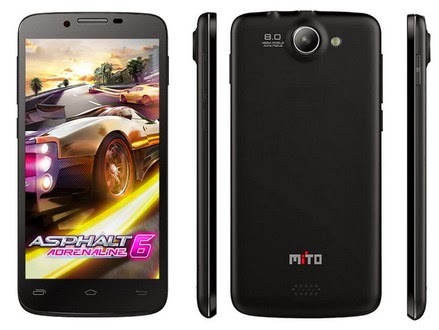 Like the quad-core 1.5GHz MT6589T, this chip is able to handle sophisticated games at affordable prices. No wonder many are starting to believe MTK products. Nearly a month after the Korean media reported that the 64-bit processor Samsung's being developed, is now reported that the development is almost complete. Report quoted ITToday mention that Samsung has completed the most difficult part of the development. The chip is currently included in the process of final technical and logistics. 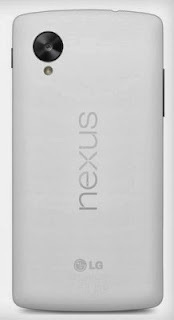 This LG Google Nexus 5 White? Google smartphone device made ​​by LG is the most awaited , the LG Nexus 5 is already an open secret . Because these devices have appeared several times , be it drawing or photograph the original press in recent months . This time emerging through the Nexus 5 color variants of white , through one of the posts twitter account @ evleaks . Appears in the picture as the Nexus 4 is also produced by LG last year , the white Nexus 5 color variants do not have a stigma on the entire body but will be combined black on the front , as reported by UnwiredView . 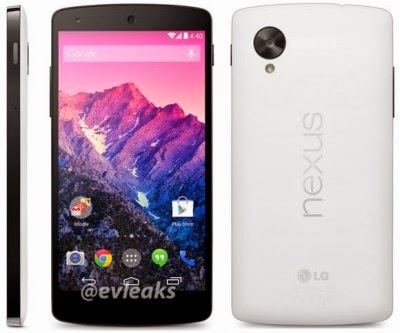 Previously reported officially Google Nexus 5 will be revealed next week , about October 31 . However twiter account @ evleaks even show different dates ie 1st November . Nexus 5 will be the first device running Android 4.4 KitKat . Therein may be provided with specifications such as 5 -inch Full HD screen , LTE connectivity , 8MP rear camera , quad - core processor Qualcomm Snapdragon 800 . And probably will be priced at $ 349 start ( 16GB ) , or about Rp 4 million -an . Google may start selling the Nexus 5 days after the announcement to the market such as the United States , Canada and England . After mengpdate OS Android 4.3 Jelly Bean for HTC users at all in Region United States (U.S.), now the update will be extended to other areas. Currently the update is rumored to have started to appear in certain European countries for international models. Prepared for the HTC One other users, including Indonesia. To date, several handsets without a contract already started getting the update country of Russia and most of Eastern Europe. HTC users can also obtain this software version 3.62.401.1 directly via OTA (Over The Air) via smartphones. To get updates with a capacity of 675 MB is user is expected to use the Wi - Fi, making it more stable. 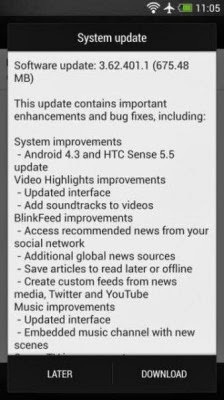 In addition to the Android 4.3 update and HTC users will also get HTC Sense HTC Sense 5.5, the latest version of the interface overlay the Taiwanese company. This update does not bring great new features, but inside there are some improvements to the Sense UI, including BlinkFeed (Google+ support and Custom RSS feeds), Gallery apps, and music players, as reported by Android Central. Android 4.3 update for the latest phones have started circulating. The users of the Samsung Galaxy Note II was certainly not want to miss to immediately taste the latest Android operating system update this. But according to the info from one of the French mobile operator, SFR (Société Française de Radiotéléphonie), updates to the Galaxy Note II will be released officially sometime in November or December. Actual waiting quite a long while but is certainly annoying. But do not worry, while waiting for the Android 4.3 update is officially arrived, we could taste the unofficial update first. This is not an official update Android 4.3 update is still a test version (beta) with a date of manufacture on October 16, 2013. Interested in tasting unofficial update that has been leaked this? You can find it on this link, then you can update the Note II in a way like in this link. California - Google reportedly just bought a French firm named FlexyCore, in order to enhance the performance of the Android operating system. Based on reports in L'Express, Google has just bought a French technology firm named FlexyCore with a value of U.S. $ 23.1 million, according to local media news by France, L'Express, as quoted by Engadget. Name FlexyCore looming after they make software DroidBooster; were able to increase the speed of the applications in Android, without drain battery power. Google spokeswoman in France said that the software will help performance belongs FlexyCore Android for mobile devices. 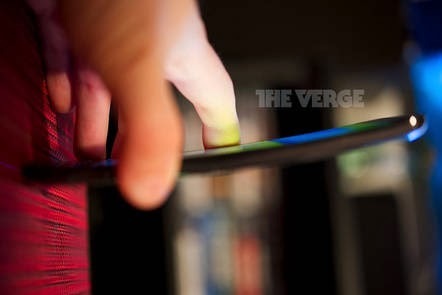 LG launch first smartphone with a curved screen does not seem to be much longer, because an Argentine journalist reportedly been getting product samples such devices. The journalists seem to get a device with the name of the G Flex LG factory in Argentina. And now we get to see the premiere of the device that looks quite different from what we have seen from the sketch and the teaser image. 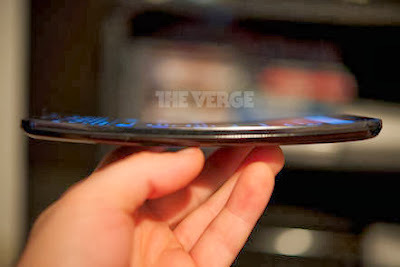 LG G Flex is a device with a curved screen from top to bottom, unlike the Galaxy Round the curve from left to right. 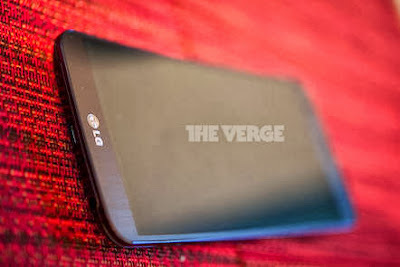 In addition the device also has designs on the back button like on the LG G2. The news circulating saying that the display device is optimized to create satisfaction in watching the movie, because if used with landscape position then G Flex screen will resemble the curved screen in a theater or cinema. Plus the device is rumored to have a screen size of 6-inch full HD 1080p which will further pamper your eyes. Not much information is circulating about this device, we will know more when LG introduces the device next month. khusus yg android 4.0.4 | 4.1.1 dan 4.2.2 yg tidak bisa download dr play store.. This is the news you’ve been waiting for! I am thrilled to tell you that we are about to officially resume our rollout of BBM for Android and iPhone customers around the globe! * In the next few hours, people will start seeing BBM in Google Play, the App Store and in select Samsung App Stores – where it will be free to download. The demand for BBM on Android and BBM on iPhone continues to be amazing. 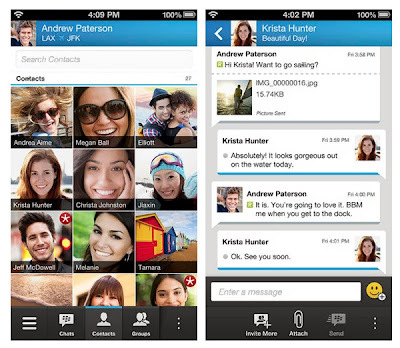 About six million people signed up for information about BBM at BBM.com. As you know, in just seven hours, about one million Android users were using the unreleased version of BBM for Android. What you don’t know is that more than one million people have found creative ways to “side load” BBM on their iPhone. This is incredible. 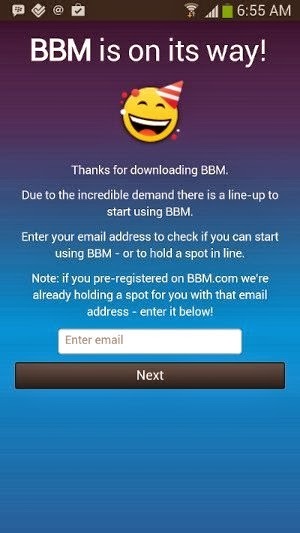 If you are among the millions that took the time to sign up at BBM.com, you can start using BBM immediately without waiting in line. * If you didn’t sign up in advance, don’t worry – we are focused on moving millions of customers through the line as fast as possible. 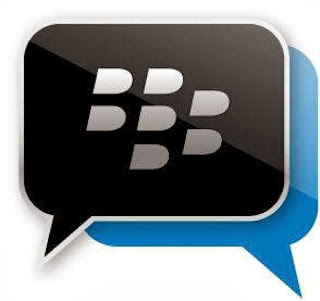 *Samsung customers in Sub-Sahara Africa can download BBM today from the Samsung Apps store. iPhone and other Android users in Africa will be able to download the app in three days’ time. Good news for users of Samsung Galaxy S4 in Indonesia. Today Android 4.3 Jelly Bean update for devices with code GT-i9500 is already started rolling in the Indonesian region. According to information received by our team, the update is about 600MB via OTA network. If your users Galaxy S4 please check availability updates through option in your device to get OTA updates or please click here to download the firmware and how to install. Lenovo has just released a convertible hybrid netbook, the Lenovo A10. Netbook with this unique shape has a 10.1-inch touch screen. 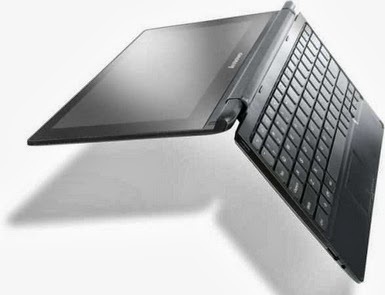 Interestingly Lenovo A10'' may'' be formed into a netbook with a keyboard or a tablet with a stand. This is made ​​possible by the availability of hinges that open to 300 degrees. With a screen resolution of 1366 x 768 pixels, the Lenovo A10 users can harness the power of quad-core Cortex-A9 1.6 GHz speed that is supported by 2 GB of RAM in it to enjoy multimedia content or a serious task. Powered 32GB of internal memory, the Lenovo A10 battery is claimed to be resistant to be invited to watch the video until about 9 o'clock. Unfortunately, Lenovo does not mention When does this convertible netbook will be released, but they've mentioned that Lenovo A10 will be sold in Europe, Africa and Asia Pacific alone. Lenovo A10 will be priced at around $ 240. Interested? 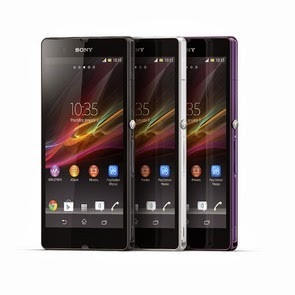 Good news for users of Sony Xperia Z. Based on the latest news circulating, Sony is said to be releasing Android 4.3 Jelly Bean update for Xperia handsets Z at the end of November to replace the Android 4.2.2 operating system that has been present for Xperia Z since last June. Sony has actually confirmed the presence of this update on last July, but Sony did not say when the Android 4.3 update will be given. At that time, in addition to the Xperia Z, Sony also said that the Xperia ZL, ZR Xperia, Xperia Tablet Z, Xperia and Xperia Z Ultra SP will get the Android 4.3 update. Unfortunately the news is still a rumor only. Sony does not provide a response to the circulation of this news. Samsung Galaxy S4 owners are now beginning to be able to get updates on the latest Android operating system version 4.3 . Rolling since October 17 last , these changes can be accepted gradually. 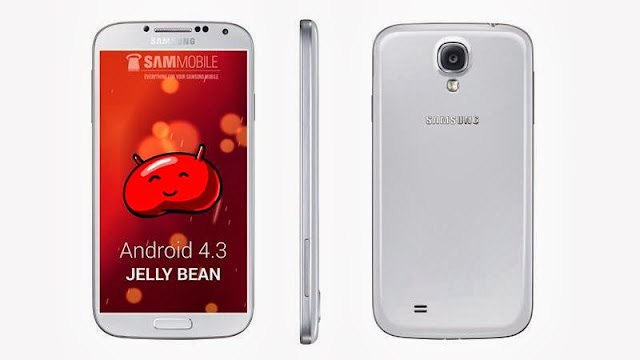 Later , users of the Samsung Galaxy S4 which has been an update to Android version 4.3 will get a few extra features including special services , such as support for Galaxy Gear , Open GL 3.0 , the Samsung Knox , and TRIM . Quoted from Gottamobile , Saturday ( 19/10/2013 ) , the update has begun rolling phone with code GT - 9500 international version of the device that uses an Exynos 5 Octa . According to SamMobile , the update has been started in Russia and probably will go to other countries in the near future , including in Indonesia. Samsung will also be an update to some of his high end devices to Android 4.3 version of this , two of which are the Galaxy Note 2 and Galaxy S3 . Reportedly , this latest update will begin to be deployed in November for the Samsung Galaxy Note 2 followed by Galaxy S3 which debuted at the end of 2013 . A tablet carries the Windows 8.1 platform offering re-rolling named Acer Iconia W4. As the name suggests Iconia family is classified clearly, the family consists of two parts of the code name for the A series and W series Android tablet for Windows. W4 Iconia Tablet orchestrated Bay Trail 1.8GHz Intel CPU, which is admittedly very supportive computational performance like on a desktop PC. While the 8-inch screen 1280x800 pixel IPS panel dengn plus Zero Air Gap technology, known on the GPU suitable for ultra-high resolution screen. In addition to the front 2 MP camera is also embedded 5 MP rear camera that supports 720p60 and 1080p30 video, has a microSD slot (up to 32GB), micro-HDMI port, Bluetooth 3.0 connectivity, WIFi and charging adapters and other connectivity. According to Anandtech melansirnya, Iconia W4 will come ready to be sent to the destination market later this October, is available in two models, labeled 32GB for U.S. $ 330 and the 64GB version costs U.S. $ 380 price tag. In the purchase package also included other peripherals tablet user support activities, such as Close the keyboard, screen protector, a pen stylus responsive, bank and power adapter kit in a cool bag. Crunch Crunch Keyboard and Cover, probably quite alluring eyes are soft synthetic leather cover folds out to work for the tablet upright standing position. WoW !! Galaxy S5 stretcher Sensor Eye Scanner? Apple brings fingerprint scanner as a security feature in the iPhone 5S. Samsung seems not to be outdone and said to bring advanced security to Galaxy S5. 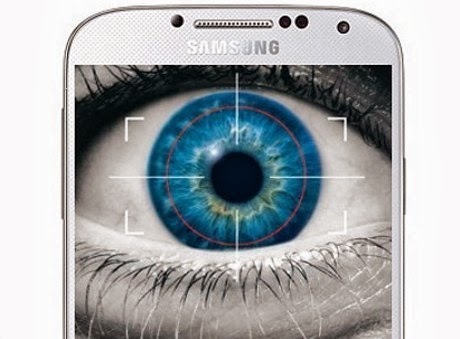 Galaxy S5 rumored features eye scanner. Thus, the user can later unlock or open the Galaxy S5 with their eyes. Reported by Ubergizmo, Friday (18/10/2013), Samsung allegedly is working hard to develop the high level of security. So far, has not explained what kind of application. 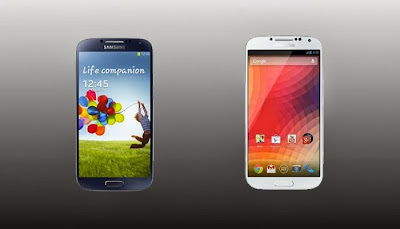 All the information is still stored on the Galaxy S5 meetings by Samsung, so this news could not be ascertained truth. 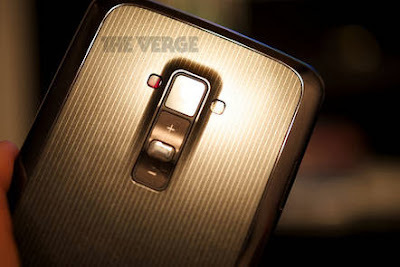 Currently, it has been a lot of rumors about the Galaxy S5. 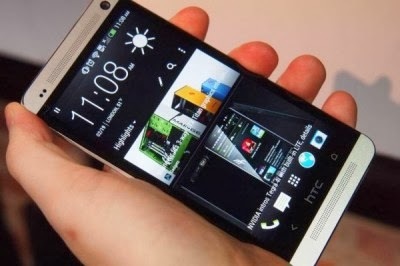 For example, the flagship handset is rumored to appear officially in February 2014. 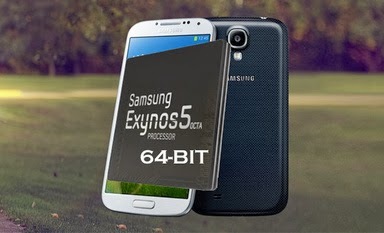 Later, he relied on a new generation of Exynos processor 64-bit and significant design changes compared to its predecessor. iPhone 5S and 5C equipped with some excellent features . iPhone 5S in particular , rely on a fingerprint scanner or 64 -bit processors are widely considered as a breakthrough . But about the screen , the new generation iPhone be left behind .
" iPhone 5S than iPhone 5 that is good, with a fingerprint scanner to be reliable , faster processor and better camera . 5C iPhone and tempting to shoppers who are concerned with budget , " wrote Consumer Reports , influential consumer magazine in the United States .
" However , the durability of the battery is lower than other phones in our tests , including comparison of the Motorola Droid . Also , the small screen , though clear and bright , can not beat the bigger screen and sharper in the flagship model of Samsung , LG and HTC , "said Consumer Reports . Both the iPhone 5S and 5C are still relying on a 4 inch screen , unchanged from the iPhone 5 . The resolution is 640 x 1136 pixels with Retina Display technology . Compared to models like the HTC Android flagship , the Samsung Galaxy S4 or LG Optimus G Pro , wide screen resolution and indeed the new generation of the iPhone is lower . Similarly, as quoted from MacRumors , Friday ( 18/10/2013 ) .